Wish lists is a powerful tool for promotion. It helps customers to mark products that they are willing to buy to make an actual purchase afterwards. In this post I will explain you how to configure Wish List in Magento 2.0. You can Enable or Disable it in General Options (Select Yes/No). Select Email Sender: it’s the email from which will come the email with Wish list. Define Max Number of Emails that can be sent. Define the length of Wish List emails. By default it’s not allowed to use more than 255 caracters in such emails. Here you can define what number will be displayed in Summary: the quantity of products or the quantity of items. 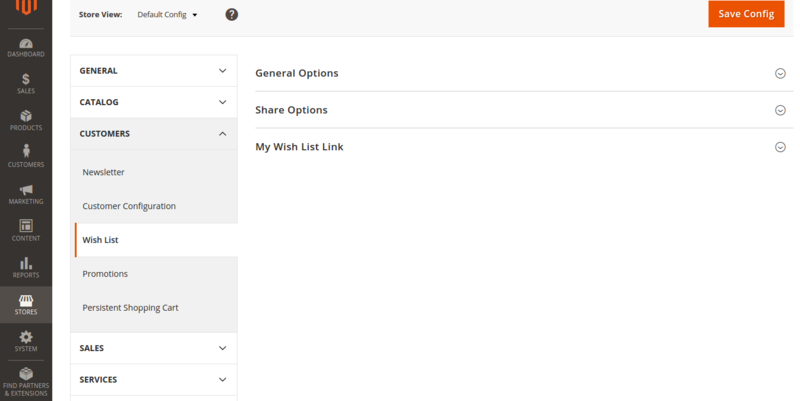 Unfortunately, default functionality of Magento 2.0 doesn’t allow to use wish lists by guest users. If you want to turn on this function for guest users, consider installing the Guest Wish List extension.